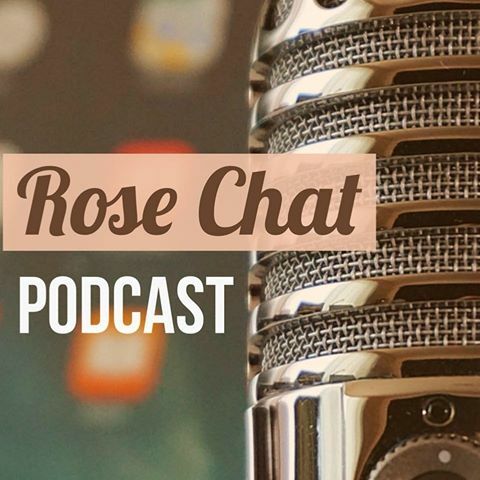 Join Chris VanCleave and me for the Rose Chat Podcast— the only show on the airways dedicated to growing roses. It all started on Twitter … a Twitter stream dedicated to growing roses. This interaction inspired the idea of a radio show to broadcast rose growing info to a wider audience. From that, the Rose Chat Podcast was born. The need to communicate solid information on growing roses to the next generation is essential and Rose Chat helps to fill that need by providing solid rose advice, interesting guests and the latest news from the world of roses! Will Radler rose hybridizer and creator of the popular Knock Out rose and so many more! Video coverage of the Biltmore Rose Trials 2015. Paul Zimmerman curator of the Biltmore Rose Trials and author of Everyday Roses. Tom Carruth award winning rose hybridizer and curator of the rose garden at the Huntington. And so many more…. 120+ podcasts and growing! Chris VanCleave (aka “The Redneck Rosarian”) Past President of the Birmingham Rose Society in Birmingham, Alabama; speaks on growing roses, is the founder and host of Rose Chat Podcasts and is a tireless advocate of our National Floral Emblem, the rose. He and his wife, Tina, enjoy a garden filled with over 130 roses! Teresa Byington Master Gardener, gardener, blogger and VP of the Indianapolis Rose Society. Her blog TheGardenDiary.com promotes roses as an integral part of the landscape. She is a co-host of the Rose Chat Podcasts and brings a wealth of knowledge and garden inspiration to the Rose Chat family. She and her husband, Greg, enjoy a garden of over 200 roses. … companies dedicated to supplying you the very best in rose products. Check them out today! Hello! I was curious to know if setting up a blogging site such your own: http://thegardendiary. com/rose-chat-radio/ is tough to do for unskilled people? I’ve been hoping to create my own blog for a while now but have been turned off because I’ve always believed it required tons of work. WordPress has many tutorials to help along the way. Golly, What a delightful afternoon. Jim Schultz-Indianapolis Rose Society member 26 yrs and counting. It was our pleasure! See you next week! 26 years and counting. That is impressive. I’m sure you have so much to teach to others!